Saturday 27th October 1917: News has reached Bedford that Sapper Percy W. Cobb of the East Anglian Royal Engineers died of wounds at Lord Derby’s Military Hospital, Warrington on 22nd October. Before the war Percy Cobb worked as a fitter for Messrs. W. H. Allen. Following Kitchener’s call for volunteers he joined the East Anglian Royal Engineers on 31st December 1914 and was sent to France in the following April. He remained on active service until August 4th 1916 when he was severely wounded by shrapnel in the legs and body during fighting in Delville Wood. He lay in the open for many hours before a stretcher party could reach him, losing a great deal of blood. After being brought back to England Sapper Cobb underwent ten operations, but the effects of poisoned shrapnel left little hope for recovery. He was visited on a number of occasions by his wife, and arrangements had been made for him to be moved to the Voluntary Aid Detachment Hospital at Bedford, but this ultimately proved impossible. 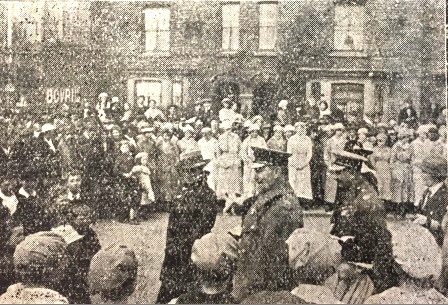 Sapper Cobb’s funeral, which took place at Bedford Cemetery on Saturday, was attended by a number of workmen both from W. H. Allen’s Queen’s Engineering works and from the Grafton Works, where his father, Mr. G. W. Cobb , is a foreman. 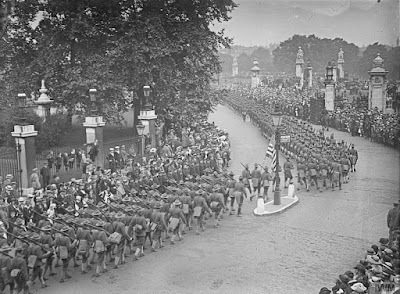 The cortege left Sapper Cobb’s home at 23 Brereton Road with the band of the Royal Engineers in front, and the coffin, covered by the Union Jack, on a gun carriage pulled by six horses. The family are well known local supporters of the Conservative party, and a brother of Sapper Cobb has served with the Territorials since the beginning of the war. 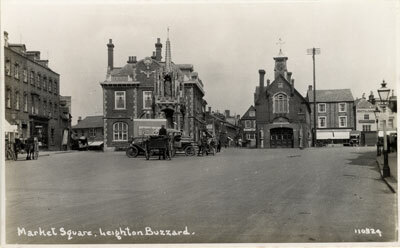 Wednesday 24th October 1917: A man has appeared in front of the Leighton Buzzard magistrates on a charge of spreading a false report that the Germans intended to carry out more air raids on England on the nights of 23rd and 24th October. Arthur Steele, aged 60, is a cellarman from High Wycombe who has been lodging at Leighton Buzzard for the past month while working for a firm of wine and spirit merchants in the town. P.C. Clarke stated that he was on duty at the corner of Hockliffe Street and Market Square yesterday evening when Steele came up to him and said “I have received official information that there is to be a great air raid by the Germans on England tonight and tomorrow night”. When asked where he got his information he replied: “I received it from a friend of mine in London”. 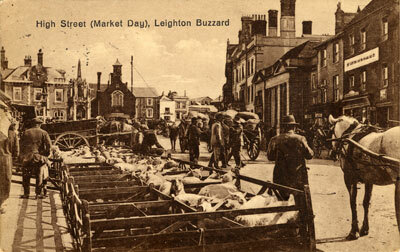 He refused to give his name or address, or to say whether he was staying at Leighton. P.C. Clarke asked if he realised he was liable to arrest under the Defence of the Realm Regulations for spreading false reports he replied: “I know all about the Defence of the Realm Regulations, and you can apprehend me if you like”. Police Superintendent Matthews came along and Steele repeated what he had said, though he denied using the word “official”. The regulations do not allow bail for cases of this type without permission from the military authorities, so Steele was remanded until 6th November. When the case was heard Steele’s solicitor told the court that there had been much discussion of air raids at his lodgings and they were much on his mind. Steele said he had refused to give his name as he was annoyed by the policeman’s officious manner. He was a respectable man who had never been in trouble with the police before. The Chairman of the Bench told Steele he had behaved very foolishly, but as he had by this time spent 14 days on remand he was sentenced only to one day’s imprisonment. The manager of Messrs. J. White & Co. wine merchants said they did not intend to re-employ Steele. Monday 22nd October 1917: Percy “Punch” Lovell of Luton has been chosen as one of around 100 soldiers who are being sent to the United States to train American soldiers in the methods of warfare used in France. 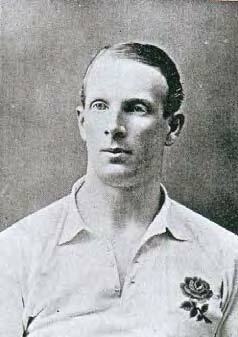 He was well-known in the town before the war as the centre-forward for the Clarence football team. 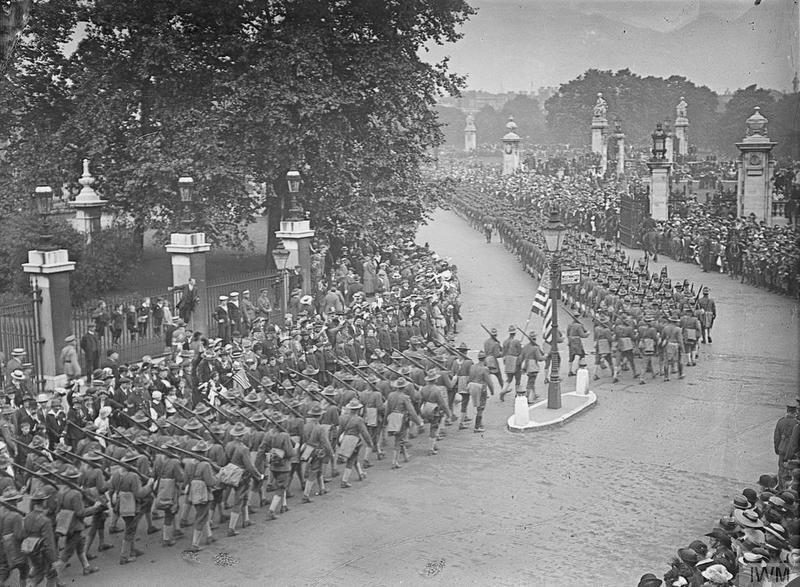 He served for two-and-a-half year in Flanders and France, gaining promotion to the rank of sergeant. Despite being in the thick of the fighting he escaped without a scratch, and for several months has been a machine gun instructor in England. Sadly his parents’ pride in their son’s achievements has been tempered by the news that their other son, Gerald, has been killed in action. Gerald Lovell enlisted in the Bedfordshire Regiment last November, was drafted to the Front in April, and died when a shell burst, killing him instantly and wounding two others. He leaves a young wife, who lives at 12 Langley Road. Saturday 20th October 1917: Today Bedford is holding a fundraising day in aid of the Red Cross Society. House-to –house collections have already been made, and are said to have gone well. The Lord Lieutenant of Bedfordshire, Mr. S. H. Whitbread, will be visiting all the Red Cross Depots in the town, beginning with the Shire Hall Depot at 10 a.m. At the various depots he will also inspect guards of honour from the following organisations: No.3 Bedford Detachment of the Red Cross Society; the 1st Volunteer Battalion of the Bedfordshire Regiment; the Bedford Boy Scout Troop; the Church Lads’ Brigade; the wounded from the Ampthill Road School Hospital; munition girls from the Queen’s Engineering Works; and the County Special Constabulary. The Band of the Royal Engineers will play during the morning at St. Peter’s and in the afternoon on the Embankmant. A grand concert is also to be given on Thursday 22nd November in aid of the Red Cross Day fund. The weather this morning is perfect, and a successful day is predicted. Wednesday 17th October 1917: Agnes Hitchens of Albion Road, Luton, has appeared at the Bedford Police Court, where she was summoned by Archie Kaufman, a Jew of British nationality who carried on business selling hats in the Arcade, Bedford. 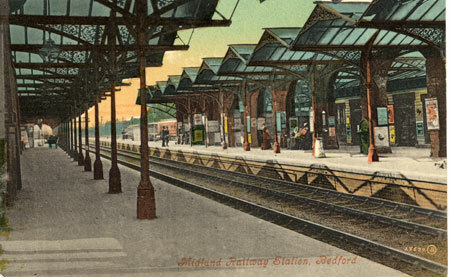 On September 3rd he was in the refreshment room at Bedford Station when Mrs. Hitchens dropped a book. As she picked it up she said, “I always drop my book in front of a German”. A few minutes later she came up to him and struck him on the shoulder, announcing several times that he was a German and ought to be strung up. He went out and spoke to a policeman but Mrs. Hitchens continued her complaints. Mr. Kaufman told the court that he and Mrs. Hitchens had held adjacent stalls in a number of markets. When questioned he said that she had never complained that he showed indecent literature to young women in railway carriages, and he had not insinuated in the waiting room that she was a low, common woman. Another gentleman – a complete stranger to him - had thrown whiskey and soda over her after she spat in his face and called him a “dirty German” too. He denied that he himself had thrown the whiskey over her. A waitress at the restaurant agreed that the whiskey had been thrown by an unknown gentleman, who she believed to be an American, and not by Mr. Kaufman, who had ignored the woman until she followed him down the room, struck him lightly on the shoulder and charged him with being a German. Although Mrs. Hitchens’ solicitor argued that she was in fact the injured party, and that having whiskey thrown in her face and over her clothes was much more serious than a tap on the shoulder, the Bench considered that a technical offence had been proved. Mrs. Hitchens was fined ten shillings, and the Chairman pointed out that the use of such language in a public place might have led to a serious outcome. Friday 12th October 1917: A 18 year old officer in the Royal Flying Corps is recovering in King’s College Hospital, Denmark Hill, after a lucky escape. 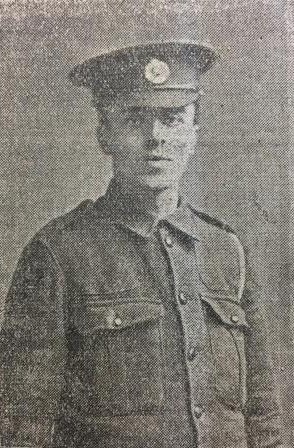 Second Lieutenant Edward A. R. Hills, the only son of the Vicar of Leighton Buzzard, was leading a patrol over the German lines when he was struck in the leg and his aircraft damaged. He started to return but a second shot broke off part of the propeller which struck him on the forehead. He stayed conscious just long enough to shut off his engine and land in a wood before passing out. He came round to find soldiers extricating him from the wrecked machine. Less than a week ago the under carriage of his aeroplane was shot away, and he was using a replacement aircraft. The relatives of another young Leighton Buzzard flier, Lieutenant Fred Brasington, have been told that he is missing. He set out for the enemy lines with a pilot on Tuesday morning and has not been heard of since. 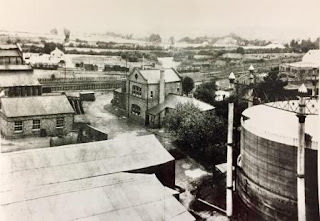 Before the war Lieutenant Brasington was a pupil at the Leighton Buzzard Gas Works. He had served with the Royal Fusiliers since the early days of the war, but only recently took up a commission in the Royal Flying Corps. He had been in France for just a fortnight. The Commonwealth War Graves Commission records the death of Frederick Thomas Brasington on Tuesday 9th October 1917. He is remembered on the Arras Flying Services Memorial. 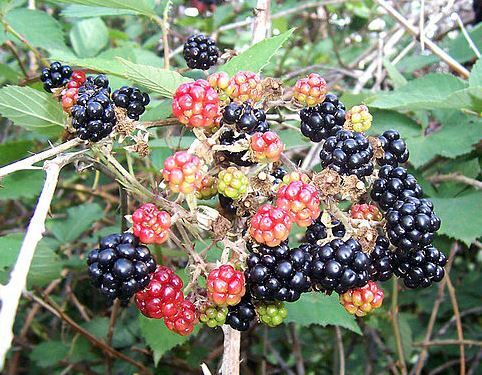 Tuesday 9th October 1917: About 120 Bedfordshire schools are taking part in a scheme to collect blackberries which will be used to make jam for soldiers and sailors. 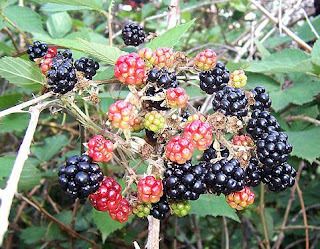 Both children and teachers have been gathering blackberries enthusiastically, regardless of the weather. By the end of last week the county had collected nearly 25 tons of the fruit. The most successful schools last week were Eaton Socon and Cranfield, which each sent in over 7 hundredweight, Wootton with nearly 6 hundredweight, Toddington Voluntary and Council Schools with over 7 hundredweight between them, and Sharnbrook and Marston Moretaine with 5½ and 5 hundredweight respectively. Three small schools, at Pulloxhill, Pertenhall and Lidlington, deserve particular mention for sending over 2 hundredweight each. 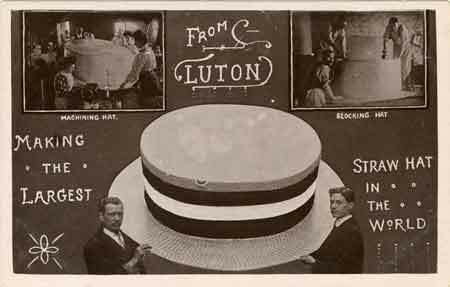 Saturday 6th October 1917: A meeting of the Luton Chamber of Commerce was held last night at which a report was made on a proposal to introduce common working hours throughout the Luton hat trade. The suggested hours would begin earlier, have a fixed dinner hour, miss out the tea hour, and close earlier in the evening. The proposal was favourably received, but it was decided to refer it to separate committees for detailed consideration. The general principle of shorter hours was supported, but there was some concern that fixed hours would cause problems for companies with very few employees, where considerable overtime was often worked during busy seasons. Limiting hours might put some of these firms in a difficult position, and the loss of extra wages would be unpopular with their staff. In response to this concern it was pointed out that it was not right for any man to work from 4 a.m. until as late as 10 p.m., doing a fortnight’s work in a week. 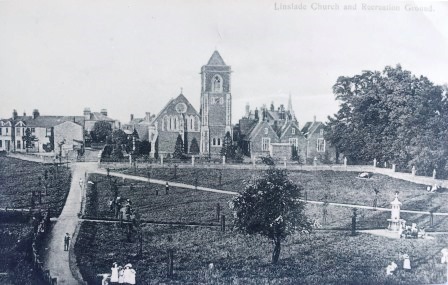 Wednesday 3rd October 1917: Mr. and Mrs. George Read of 39 Old Road, Linslade, have received a postcard from their son Frederick telling them that he is now a prisoner at Limburg in Germany. Private Read was a bugler in the St. Barnabas Church Lads’ Brigade and worked as a cleaner on the railway before he was called up last February. Soon after his 19th birthday he was sent to France and transferred to the Inniskillin Regiment. A fellow soldier wrote to Private Read’s parents informing them that their son had been wounded on August 16th and had probably been taken prisoner by the Germans. Another Linslade soldier, Private Page of Wing Road, was wounded in the same fighting.